(SNAAP). (2010). Forks in the Road: The Many Paths of Arts Alumni: Strategic National Arts Alumni Project 2010 Findings. Bloomington, IN. This month’s Staff Spotlight is on Randy Koehler. Randy is one of our District Manager’s who visit schools on a weekly basis. He graciously made time in his schedule to sit down and talk with me about life as a “road warrior” for Paige’s Music. ~ The National Association for Music Education. “Music Makes the Grade.” The National Association for Music Education. Accessed February 24, 2015. ~ Parbery-Clark A, A.S., Kraus N. , Musical Experience and Hearing Loss: Perceptual, Cognitive and Neural Benefits., in Association for Research in Otolaryngology Symposium. 2014: San Diego, CA. Yes, spring is finally here and along with it changes in temperature and humidity, which can cause changes in your instrument. Mostly woodwinds and strings. With woodwinds the actual wood bodies can swell causing keys to bind up and tenon joints to be too tight. (note: If the tenons are ever too tight no amount of cork grease will help. 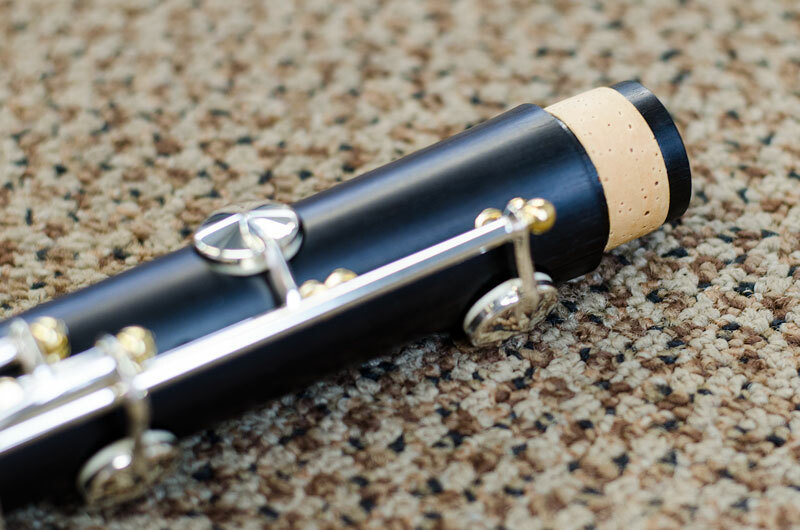 They must be re-fit in the shop) The pads on woodwinds can also swell and cause small leaks that affect the overall adjustments and performance of the instrument. This goes for stringed instruments as well. The stresses of extreme cold have eased but we still deal with temperature and humidity swings that affect the wood and sound of our instruments. We still need to be diligent in our efforts to provide good care. Leaving an instrument in a car is never a good idea. The sun will heat the car interior rapidly, possibly loosening glue joints and causing imprints to the finish. Rosin will soften and adhere to tops and ribs. Be watchful for open seams and cracks, raising bridge heights can raise and loose bow hair due to added humidity. These examples are more pronounced in summer, but now is a good time to be aware of possible problems. The technicians here in the Paige’s Music repair shop are uniquely qualified to help with these situations and are eager to help you in your musical endeavors. Four out of five Americans (80%) believe their music education has contributed to their level of personal fulfillment.